One of University of Waterloo Library’s only five University Librarians has passed. William (Bill) J. Watson held the post from 1969 to 1972, following Waterloo’s first University Librarian (UL), Doris Lewis. Watson worked at McGill and University of British Columbia before coming to Waterloo. Chairman of a national committee on automation in libraries in 1969, Bill accurately predicted a time when library operations would be driven by computers, and not the card catalogues of the time. 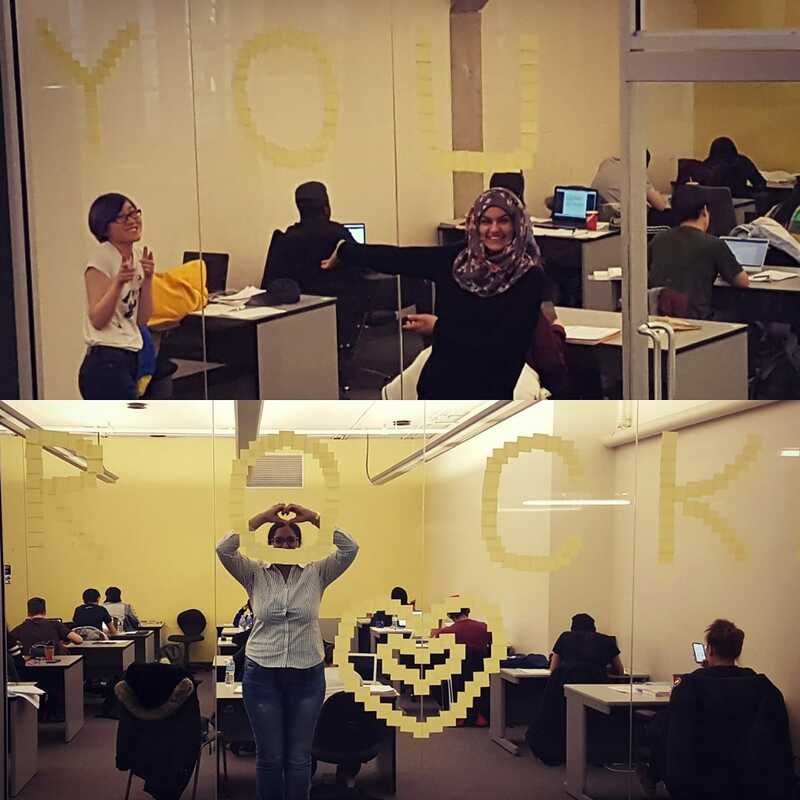 All over University of Waterloo, Post-its are popping up to encourage students during one of the more stressful times of the year, and the idea stuck to the Library's Student Engagement committee. How do YOU use the Library catalogue? University of Waterloo Library is working with a group of Ontario universities to develop a common platform for discovering scholarly resources and collections. This will mean users will benefit from easier discovery and retrieval of resources across Ontario, and libraries will benefit from each other's expertise and work more closely to manage e-resources and preserve print collections. While there are many advantages to this approach, some of the ways that you currently access resources will change. Specifically, over the next few years, the TRELLIS catalogue will be retired by the software vendor and we will implement a new system in its place. The exam period can be a particularly stressful time of year. If you are struggling, it can be helpful to talk to someone who understands what you're going through. UW MATES (Mentor Assistance Through Education and Support) is a counselling-based, one-to-one peer support program offering drop-in peer support counselling to all students in the Dana Porter and Davis Centre libraries during the exam period. Sessions are free of charge and confidential.